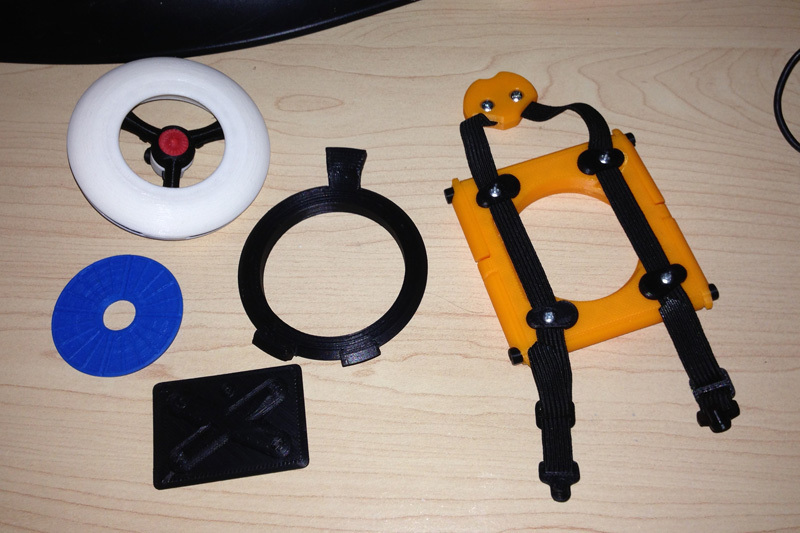 I have printed probably hundreds, if not thousands of individual things on my Afinia H479 printer. And I’ve learned some things that make printing easier with better results. 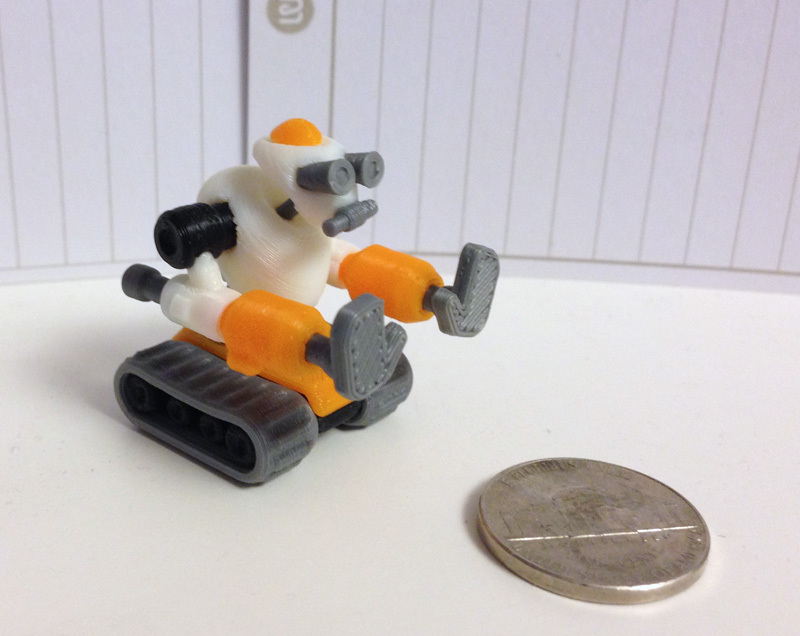 Today I’m going to talk about how the printer prints, and why it can cause issues when printing multiple small parts. When the Afinia prints layers it often runs through the layer in a particular order. Then when it begins printing the next layer, it does this layer in reverse, which works. Or for that matter it may not be exactly in reverse, but it does often print the next layer starting with the part it just left, meaning it prints twice on that one part in short order. 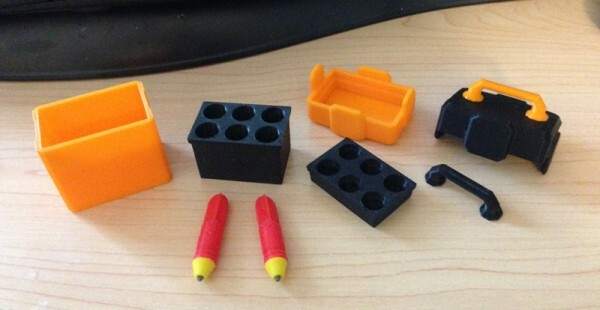 To create the part, the order of printing really doesn’t matter – except it does. It matters when at the end of a layer the bed drops to the next layer and begins printing with the same part again. This means if you had, say, six equal cylinders of just a few .mm in diameter, it goes around to each cylinder, prints that layer’s circle, moves on to the next. But at the end of the layer it prints one cylinder’s circle, the bed drops a layer’s height, and it prints on the same cylinder again without giving that previous layer any time to cool, then goes through all of the other cylinders in reverse order of the previous layer. One of the things that makes for a more accurate, more precise print is cooling time. If the head lays down a layer on Cylinder A and then goes to B, C, D, E, F and G, the plastic on each of those cylinders gets some cooling time before the head comes around again with its molten plastic. However, the way the software prints layers means that G now gets two layers at a time. The first layer has not had time to cool before the second layer comes down. Then it goes back G through A, and prints A twice. So cylinders A and G can end up with slightly gummy layers where two layers printed right after each other. 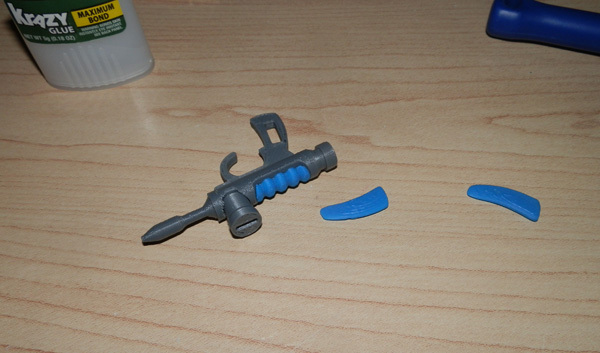 I first noticed this when printing posts for my Thunderbird 3 variant rocket design I made very shortly after I got my printer. The first thing I noticed is that after some shorter parts had printed, the taller posts got very gummy at the top, like they had lost their shape entirely. It didn’t take long to figure out that the reason was the cylinder printed in sequence until the shorter parts were done, then the head just kept going over and over this one post, and the result was like melted plastic. 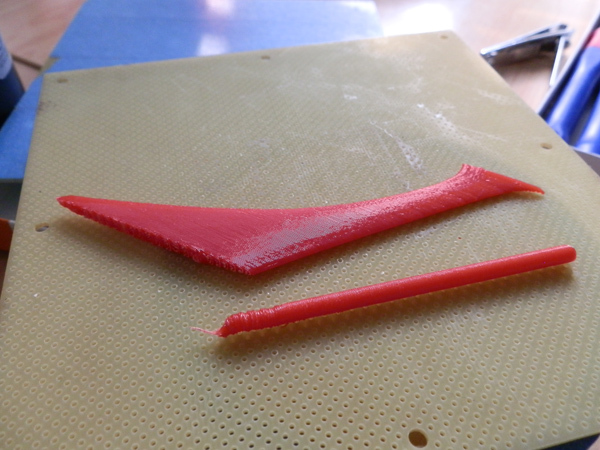 But I also noticed when I printed this part for someone else’s redesigned Thunderbird 3, it had three posts with some separation between them. Note how in this photo you can see they printed very precisely, without the gumming. Even in this model, one or two of the three cylinders got the multi-print treatment. I soon began to print things with one superfluous piece on the print bed. This piece was thin, and taller than all of the others, and its purpose was to give the printer something to waste time on. When the head prints the layer of the parts I want, it is forced to go print this thing. 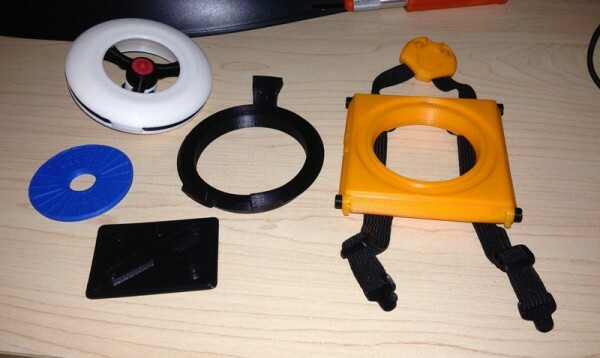 This gives the plastic on the wanted pieces time to cool while the head went off to print this unwanted thing. And since it’s taller, it completely finishes my good parts and goes on to gum up this taller useless piece, and when the print stops, it doesn’t stop hot on one of my parts leaving that tiny hair of plastic on it to clean up. I call this superfluous part a lightning rod. 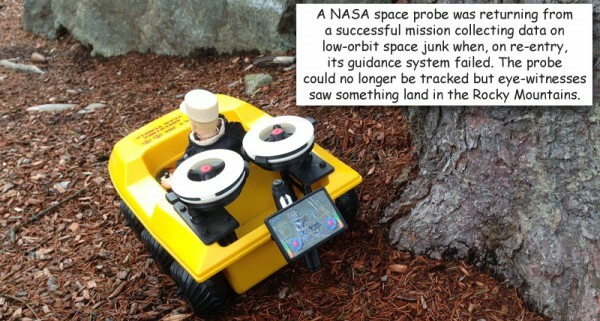 Consider that its purpose is to stand taller than its surroundings and stop them from taking damage from the hot thing. 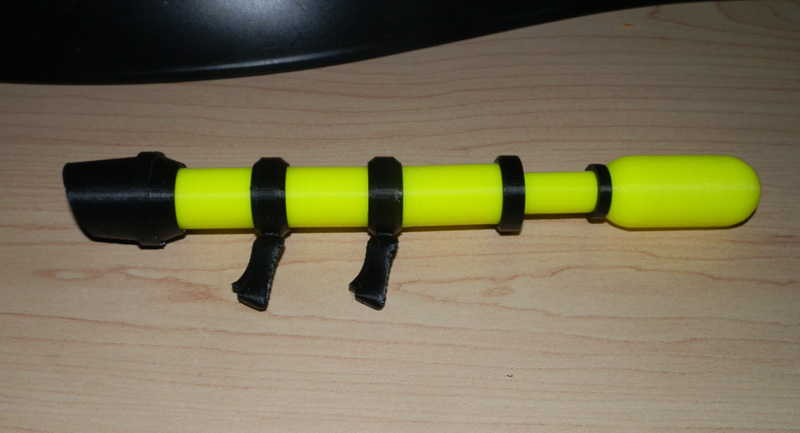 Now when I print multiple parts, I always print a lightning rod. The wasted time and plastic are not a concern to me. 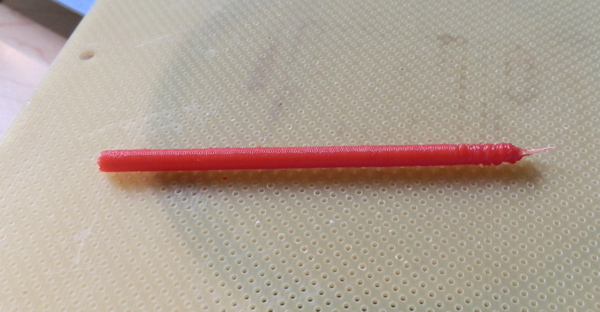 The rod is usually a very thin thing that I toss away after printing, but is thick enough to stand up to a tall print, but not thick enough to waste much plastic. 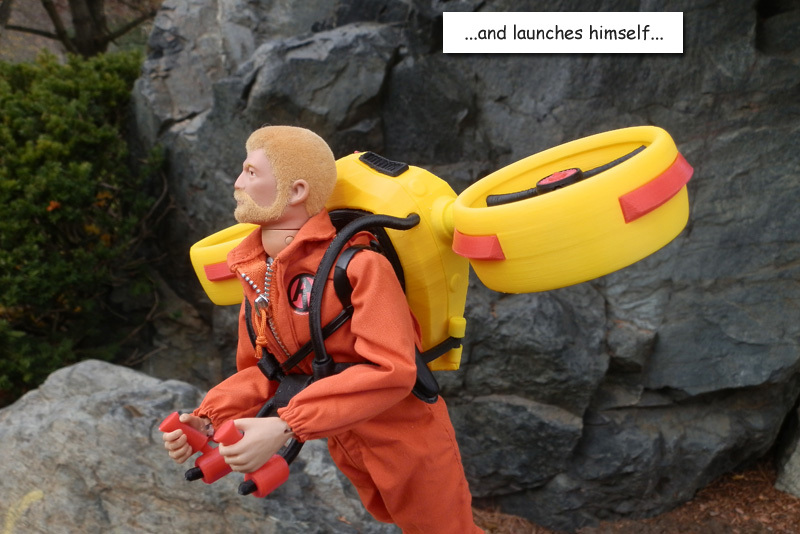 More plastic is usually used on the raft than the lightning rod and I always end up with cleaner parts. I am also going to use this knowledge to ask Afinia to provide a print mode that does not reciprocate adjacent layers, so that every layer goes around in the same direction. This will completely eliminate the problem of having one part get two layers in a row, thus making for a more mushy print. 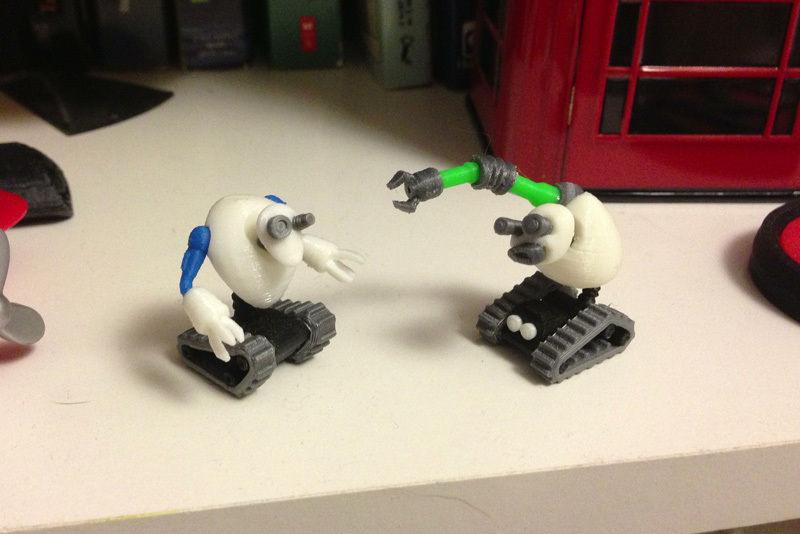 Since I created these two, I have doubled the ranks with Sentry-Bot, a fast-moving motion sensor whose entire job is to patrol at high speed (with wheels that move him in any direction) and to alert authorities. And introducing Shakes-Bot, a robot bard whose entire job is to write awesome stuff. 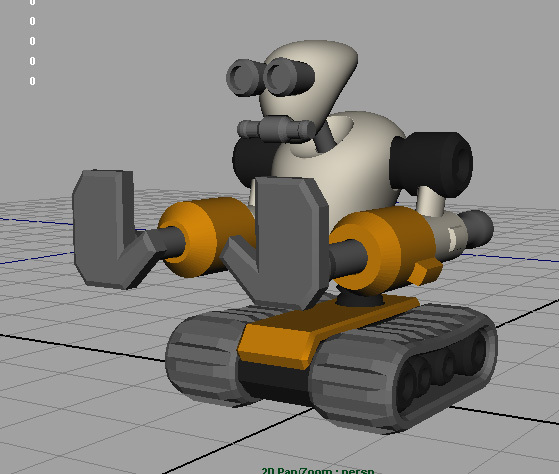 Here is the 3D model. He has not yet been fully printed. 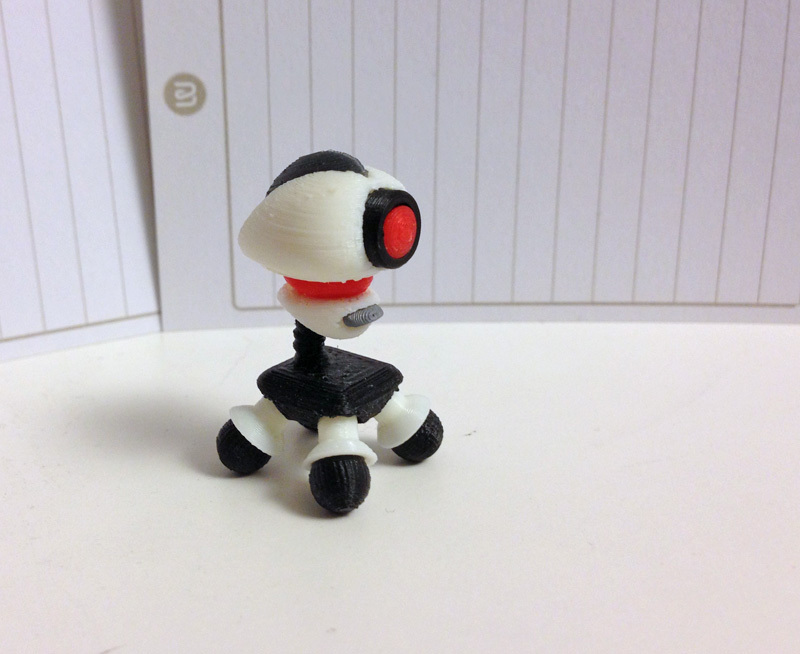 I have changed just one or two details since this model, so when I have a printed version, I will post it here. 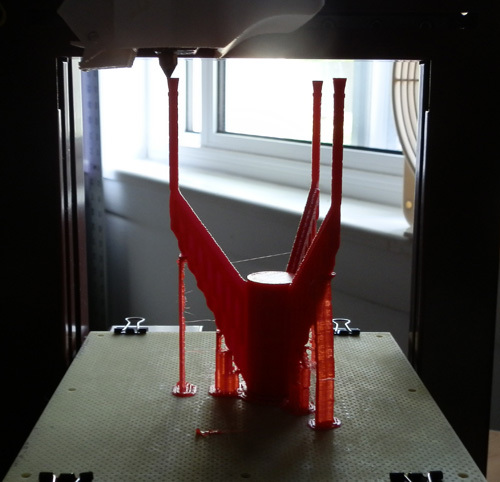 And here is the first glorious print. 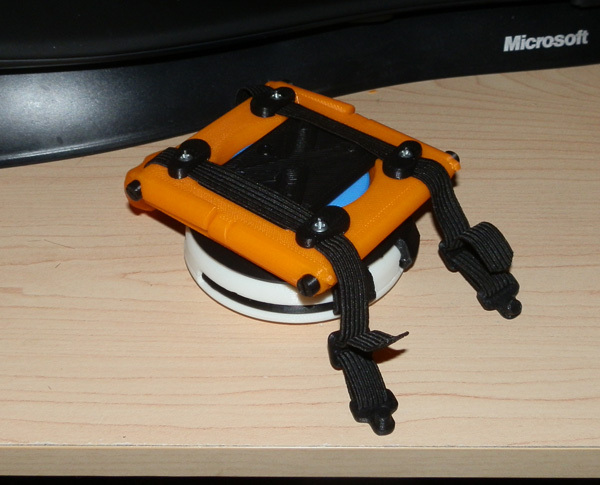 I added a head comb that, if it were functional, would light up like a forklift when it’s in operation, flashing. As I posted just shy of two weeks ago, I won three design competitions at 3DAGOGO. On Tuesday a box arrived containing a premium blue filament identical to Afinia’s blue premium, which I am was getting low on; and a silver, which looks different from the silver I bought from Afinia. I’m curious to see how that works out. Two prizes in: Waiting on 3 t-shirts and 1 Makerbot DIgitizer 3D Scanner. This morning I woke up to e-mail saying a package is winging its way to me, and was, in fact, on a truck for delivery. So I figured I’d find out tonight if it was a trio of t-shirts or a 3D Scanner. Before I left the apartment this morning, however, it was on my back door. A bit box with a Makerbot logo on it. WOOT! 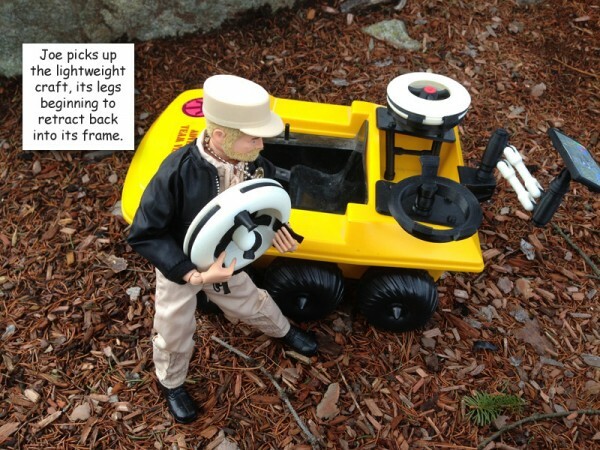 The scanner is here! 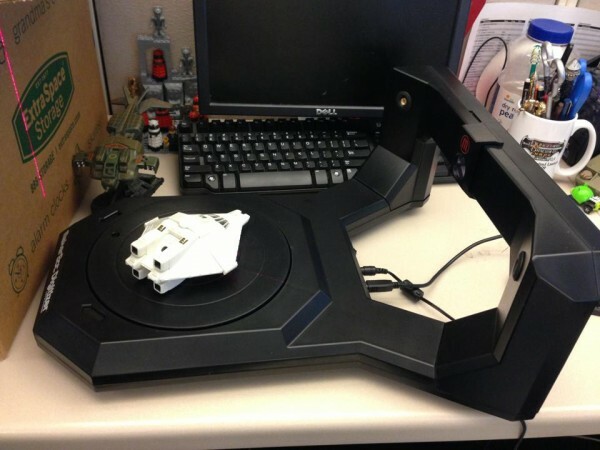 The scanner is here! I was about to leave for work so I just took it with me. I set it up at work, calibrated it, and scanned a model of my Narcissus space shuttle toy. 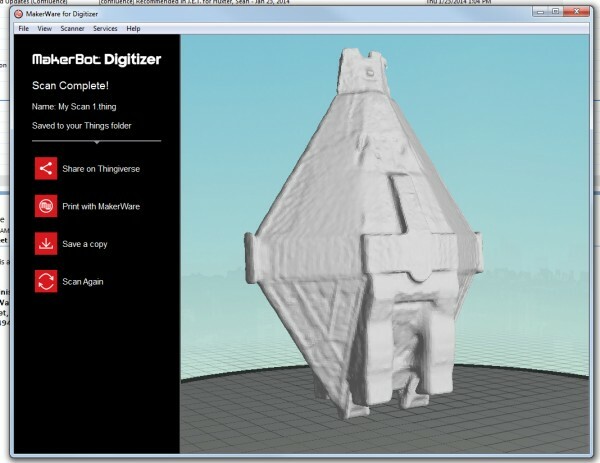 The Makerbot Digitizer allows you to multi-scan an object. This means it scans it, constructs the model for you to view, then you can inspect the model and tilt the object you were scanning at a different angle to catch things not gotten in the first pass. This is great because a lot of objects with feet or whatever won’t capture the bottom properly on a standing scan. 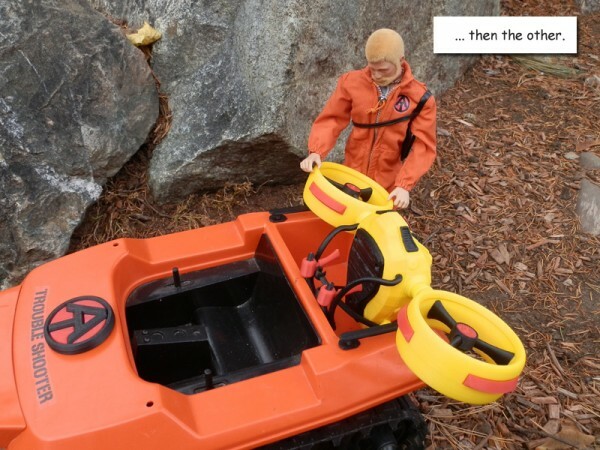 This allows you to lay the thing on its side and rescan. The software will merge the two scans to catch the things you missed on the first scan. Here is the Narcissus toy, scanned three times at different angles. Clearly it’s not a scan-and-print process for non-organic things. The early technology here is sure to create a crinkled, bumpy surface. But with the right software and skills, you can go in and smooth out and add detail. 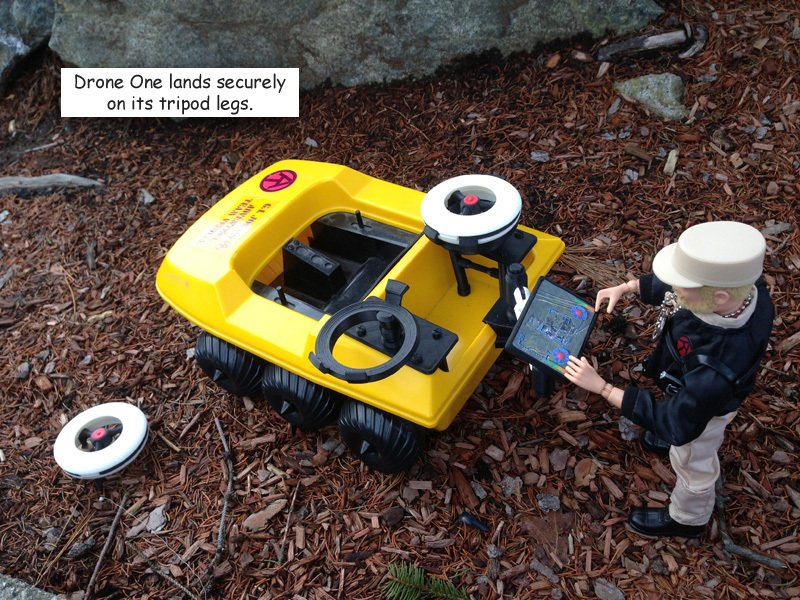 What I hope mostly is that it scans the correct scale. 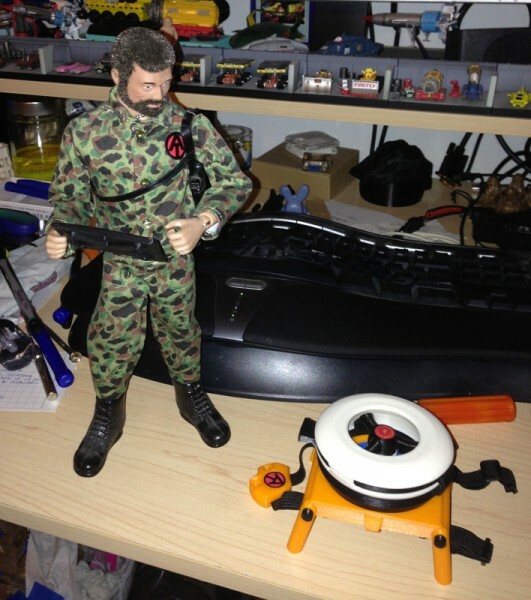 I can see myself using this to scan GI Joe heads to make helmets and headgear to fit a head, rather than printing heads. 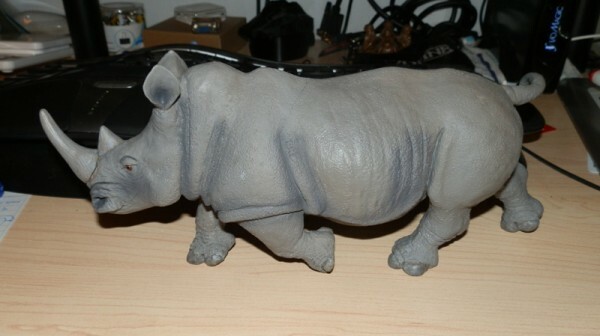 The first project will be the Adventure Team Save The Endangered Pygmy Rhino set. 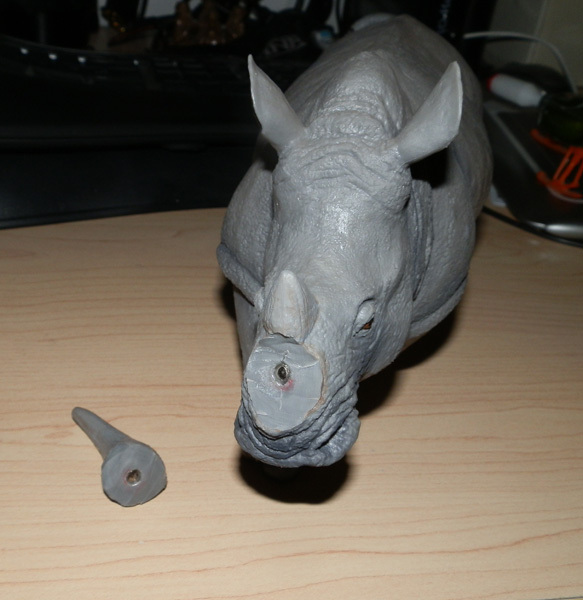 It has a large rubber rhinoceros from which I cut its main horn, installing magnets so it can be put back in place. But the point of the set is to replace a rhino’s horn with a prosthetic to reduce the likelihood it will be poached and killed for its horn, a savage and ridiculous practice going on in the world today. 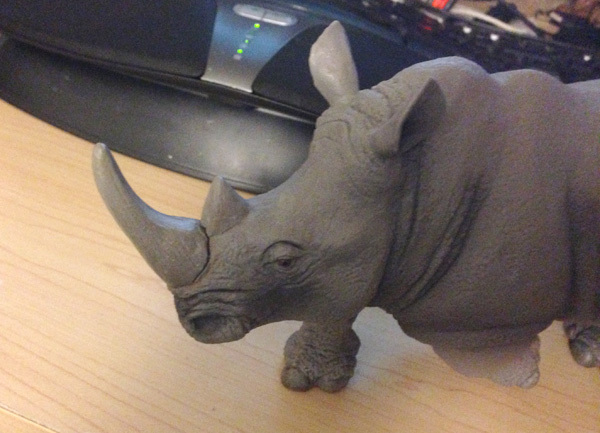 I can scan the rhino’s nose and get what I hope to be an accurate shape to fit the prosthetic to. With Set One done, (Adventure Team Action Pack Flight Pack), Set Two done, (Adventure Team Remote Drone Surveillance), and Set Three done (Adventure Team Action Pack Backpack Drone Surveillance) I set my mind to a third set that would harken back to the iconic Adventure Team days. You may recall that one of the Adventure Team’s main activities was conservation. 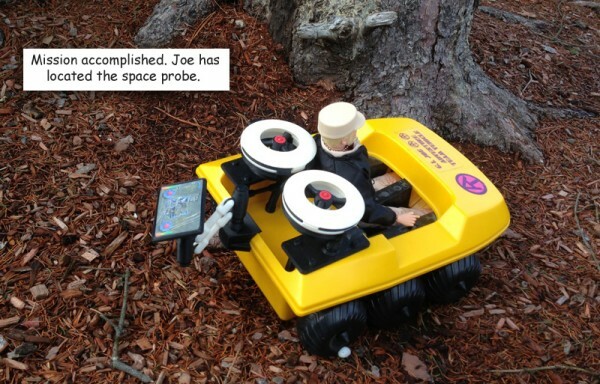 If Joe wasn’t searching for a Pygmy Gorilla or a White Tiger, he was after the Abominable Snowman. Admittedly, in the 1970s, he was sometimes hunting these things, but in modern times, it was clearly “Save the White Tiger” and “Rescue the Pygmy Gorilla”. One of today’s most endangered species is the White Rhinoceros. Many rhinoceros species are hunted for nothing more than their horn, and that demand comes from superstitious idiots who think that ground up rhino horn is useful for aphrodesiacs and medicinal application. It is not. Poachers kill rhinos for no good reason. They kill tigers for the same reasons. The fact is they do it because the creatures are rare. If there was one unicorn in the world, some fuckwad out there would be hunting for it because its horn would cure gout. One way to save rhinos is to remove their value to poachers. How? Well, it’s a bit controversial, but hey, this is the Adventure Team, so I figured that the Adventure Team’s goal would be to find rhinos in the wild, track them, tranquilize them, perform a surgical removal of the horn and the rhino would walk away relatively unharmed. But rhinos have need of their horns for digging and defense. So instead of just removing the horn, I figured the Adventure Team would replace the horn with a prosthetic. But not just any prosthetic. This one would have a panoramic camera which would record any attempt to kill them, with satellite uplink to track them and should harm come to them, video of the last hour would be uploaded to AT HQ and the poachers could be hunted down and prosecuted. To that end, I first scoured the internet for a suitably-sized rhinoceros. There were a few on eBay, including a Big Jim one, but these were all too small. I found, thanks to some fellow collectors, a great Rhino from Safari Ltd, Wildlife Wonders line. I got it on Amazon for under twelve bucks, and was thrilled when it arrived. 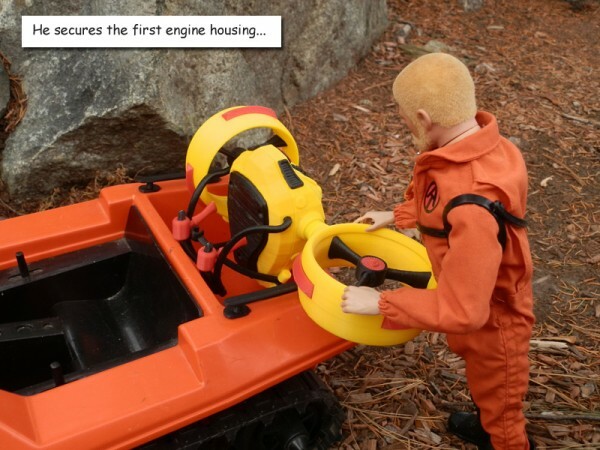 Very detailed, very accurate, and nicely scaled. He is more than a foot long from tip to tail, just about big enough for a small-ish 1:6 scale Rhino. 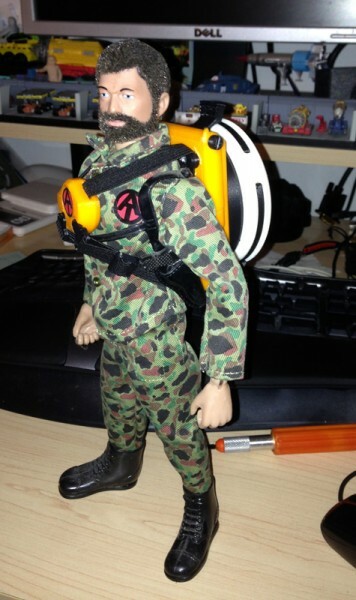 So, again going back to old GI Joe days, I’ll call it Save the Endangered Pygmy Rhino. So I immediately removed its horn with a sharp knife. It was soft rubber, so it wasn’t hard. 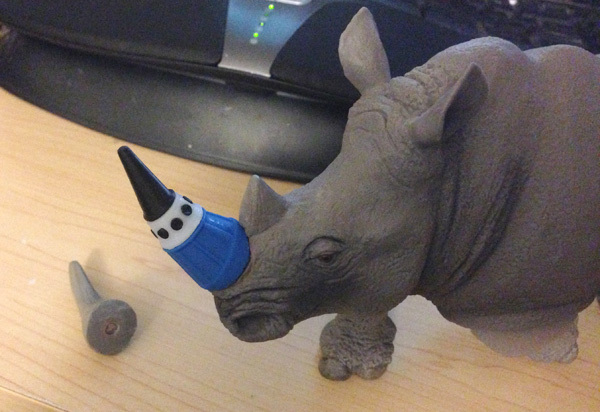 And then I figured I would use some of my rare earth magnets, one in the horn and one in the nose of the rhino. But my magnets are either way too small, or a bit too big. So I ordered some cylindrical ones online and they arrived about a week later and I used a drill bit to drill out spaces of appropriate size and inserted magnets. Now the horn can be reattached almost without noticing it was ever cut off. 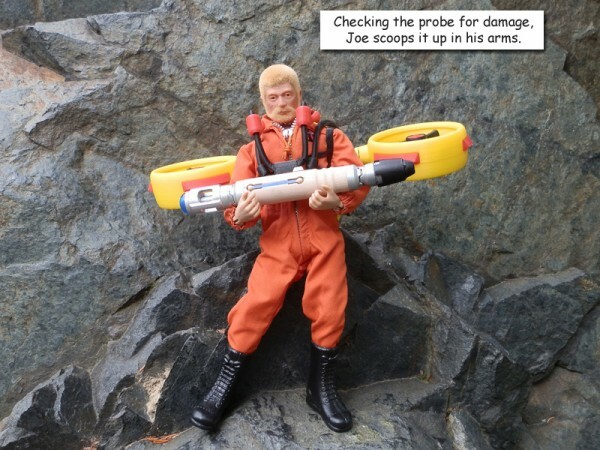 And when Joe removes the horn, he can apply the prosthetic using another magnet. 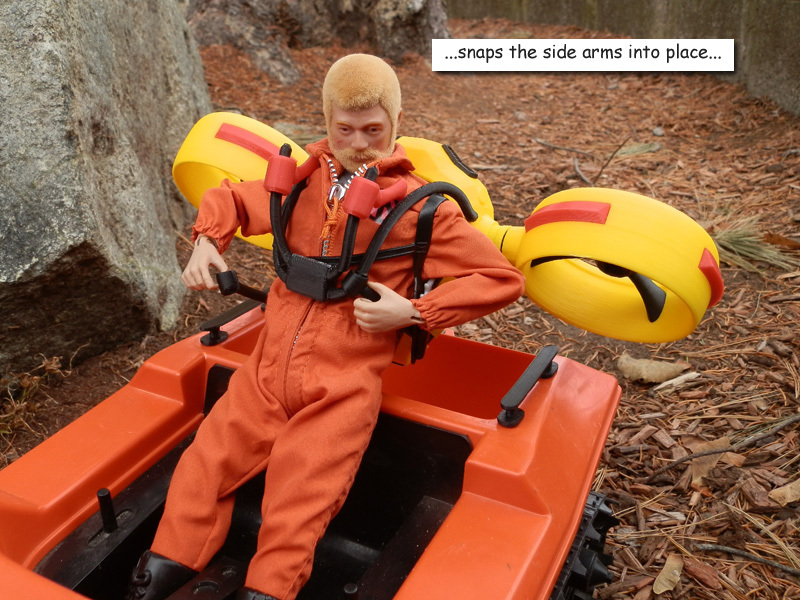 Of course the fiction is it was surgically removed, and the prosthetic applied and sealed surgically for a solid join that would make the prosthetic as strong as the original. 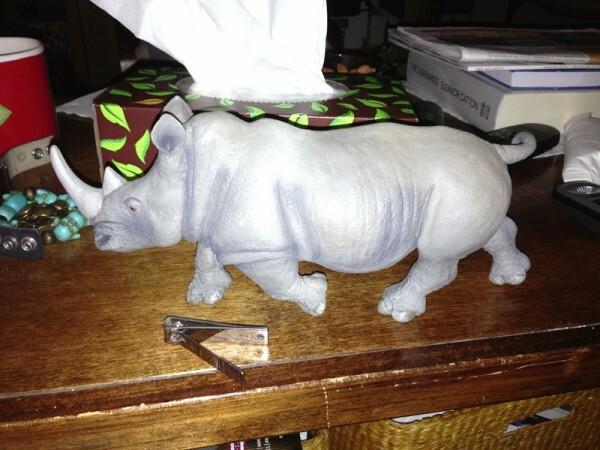 So the set has a rhino. Now what? I needed something to track the rhino. Great. 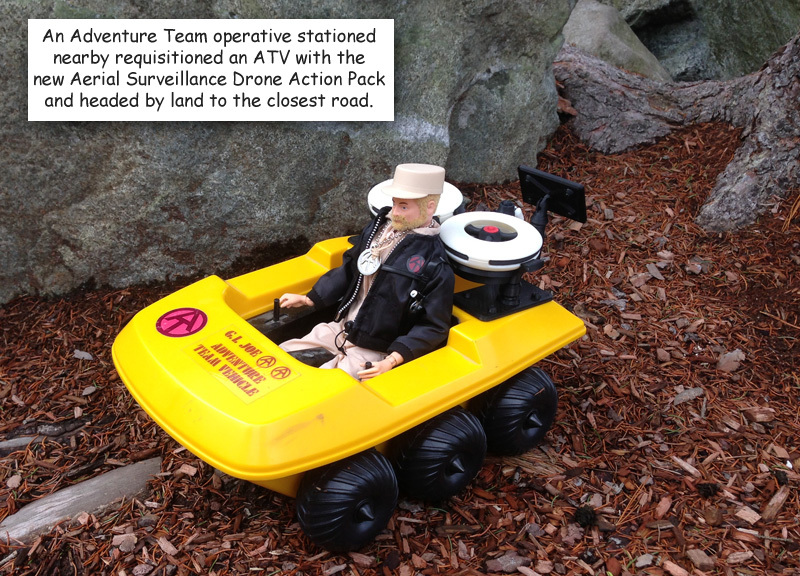 I just completed Set 3: the Adventure Team Action Pack Backpack Drone Surveillance. Clearly this backpack would be ideal. 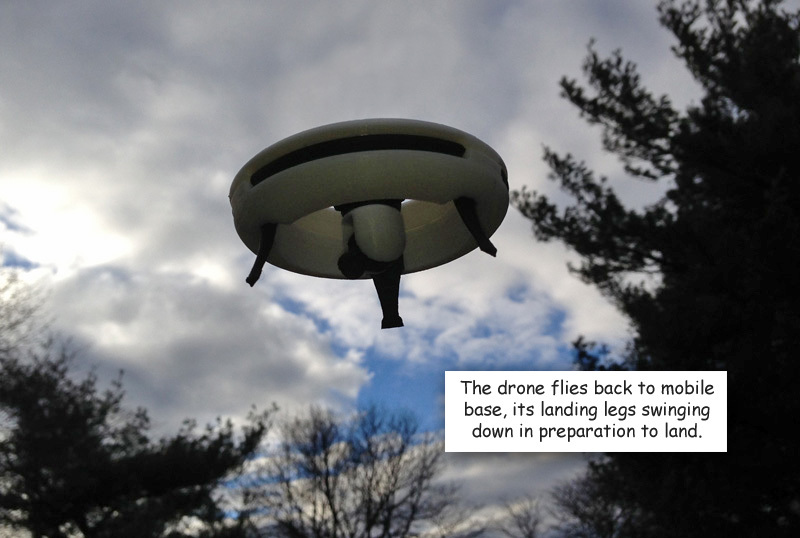 Using a remote drone to track the rhinos would be perfect. 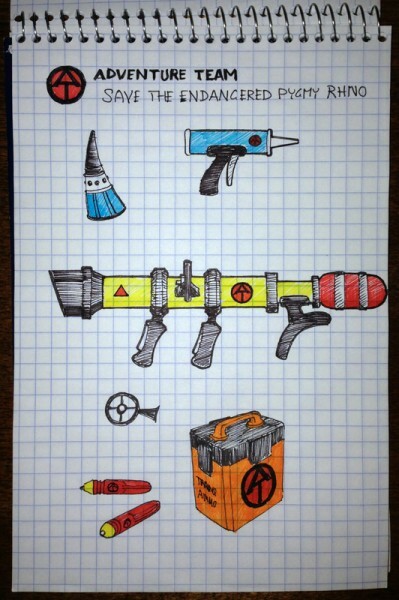 The set will also include a tranquilizing bazooka with six tranq darts, an ammo case to store the six darts, a surgical sealant gun, a bone saw, and of course a prosthetic horn with magnet to replace the beast’s real horn. 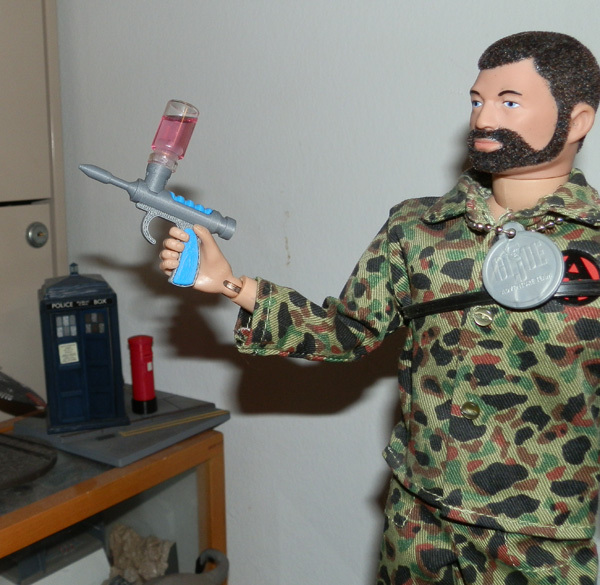 I also have a nice Soldiers of the World set of surgical instruments, and will likely include that as well. 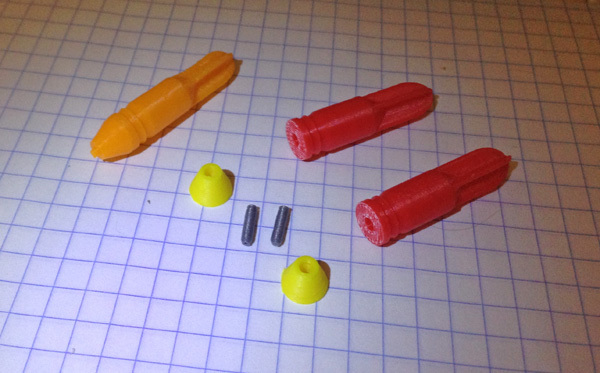 So far I have two tranq darts printed. These were prototypes, but I don’t think they need any changes. I will just print some more to make up six. 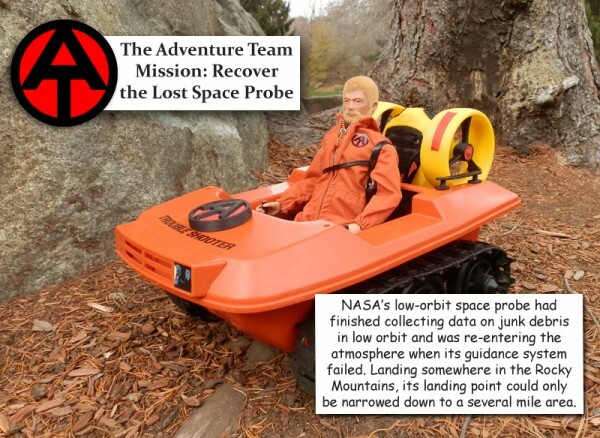 This photo shows the orange prototype, then the first test-print in color. 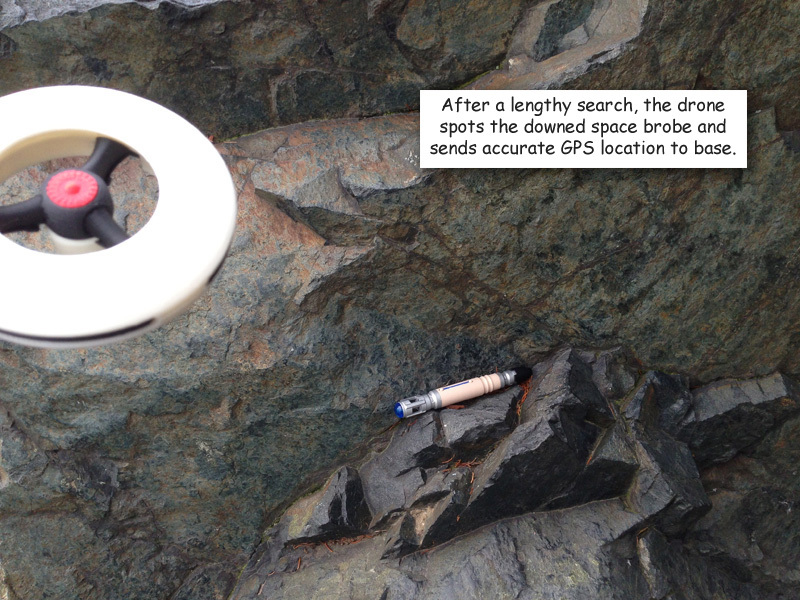 You see two bodies, two heads and the two tranq injector tips, which use a spray-like injection system, not a needle. 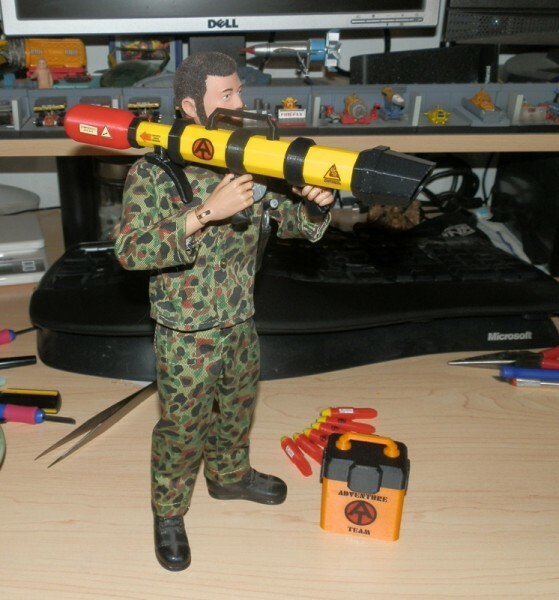 I designed them to be 1cm in diameter, and that will perfectly fit the bazooka that comes with the GI Joe Collectors’ Club Convention Set: “Search for the Sasquatch”. That bazooka “fires” net rounds that blow up and a capture net comes out. Here’s one of the Convention Set’s net rounds next to my orange prototype print. 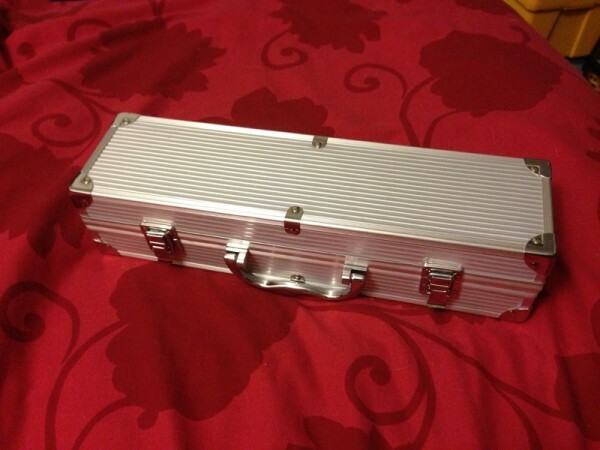 Here are the first pics of the Ammo box. 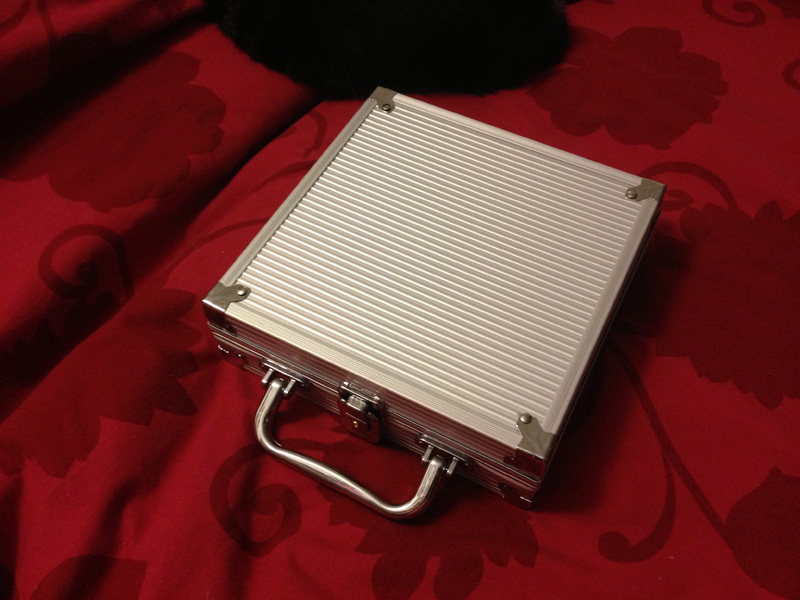 It is a hefty, armored box designed to hold six tranquilizing rounds. 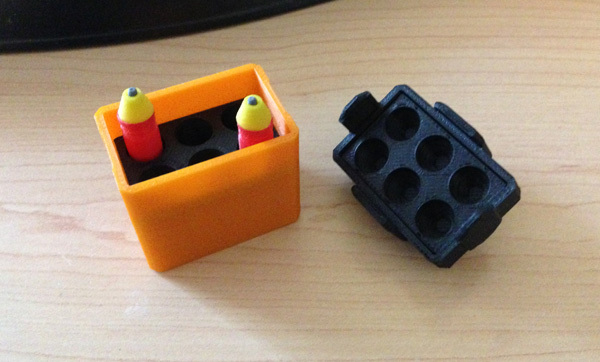 This is the box frame, the box insert which holds six rounds, then an orange version of the box top with upper insert, a black version of the box top (with orange handle in place), a black handle (should I opt to use an orange top instead) and two rounds. Here, the inserts are placed in their box shells, and two rounds are placed, fins-up, into the protective packing. Same box but with rounds point-up. I wonder if this doesn’t look better. Doesn’t matter, though, because it fits either way, leaving it up to the kid, if this were a real production set. And this is the box, closed, using the black top. I think the black works better. Soon, an AT logo will be applied to the box front. Note that the box is flat-bottomed. 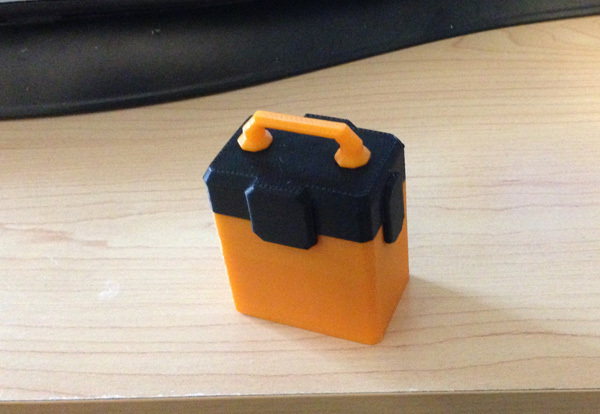 I’m planning a second print that has a beveled bottom just like the lid. I sketched out some of the parts for the set and decided to let people see it. I don’t normally post concepts or early sketches, but I thought this would kind of force me to stick to these ideas, rather than go wildly off-plan when I’m modeling. Note: Things will change, surely, while I’m modeling, but hopefully what I end up with will remain fairly faithful to this. 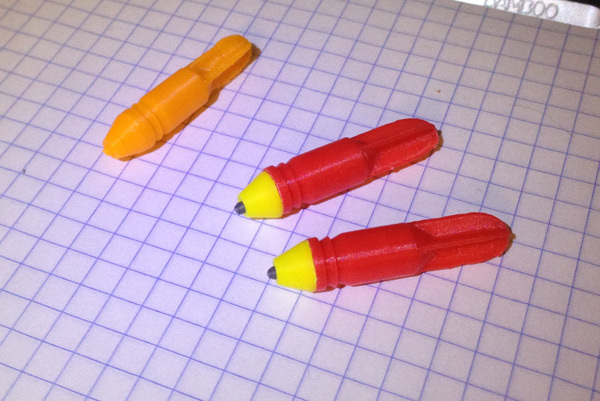 The box and darts were actually sketched after modeling, so they will be pretty accurate. What you’re seeing is concept for the prosthetic rhino horn which has at its base a solar cell, and in the middle a panoramic web cam, and at the top, a satellite uplink antenna/GPS unit. 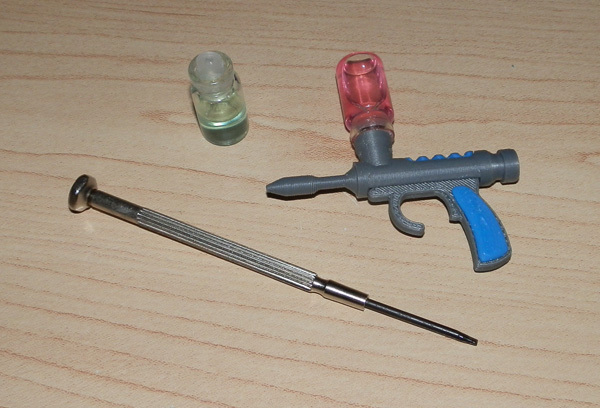 To the right is a sealant gun. It’s like a caulking gun but with surgical sealant to ensure the horn stays on even during the roughest rhino behavior. 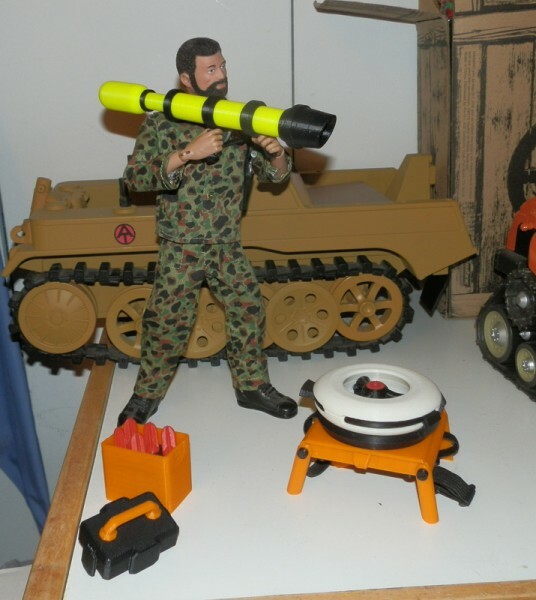 The main event, you might say, is the air-powered bazooka. It will be a hollow tube for the darts to fit in, and my current plan is for the two pistol grips to be rotatable so Joe can rotate them to a comfortable fit. The target sight is either going to be a traditional cross-hair, or more likely a video screen. The red canister at the back is a compressed air tank. 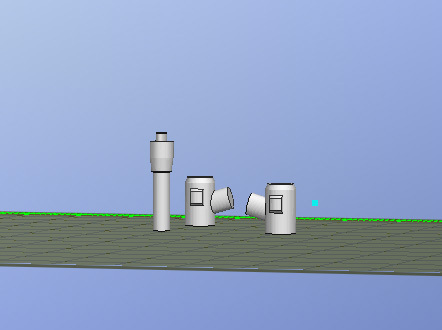 Here is the Tranq Bazooka in pieces. This is a first attempt. I modeled and printed this in one evening, and it is not complete. It was a test for fit and concept. 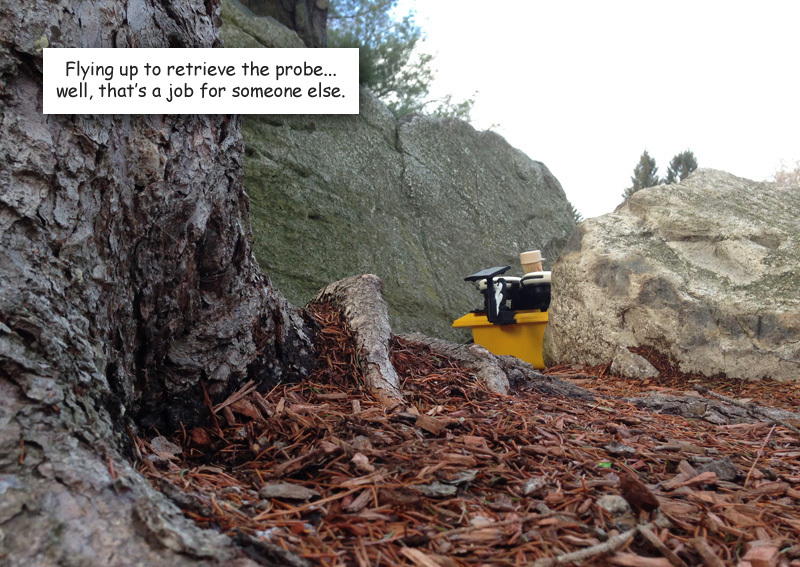 Note that hi-vis yellow is a color I use to test-print. But I actually like it. I am not sure I’ll keep it. The next print will be in AT yellow and I’ll decide which I like better. 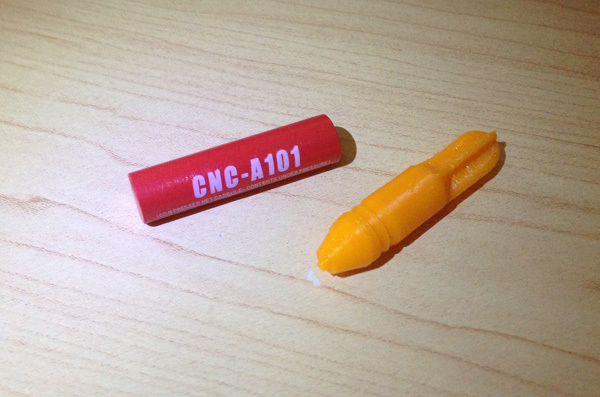 The gas canister is supposed to be red, but again, this is just a test print. When I saw the test print I thought it was ok. But I felt I could add some character to it. Note that it does not have a sight system yet. That’s coming. And some other detail may be added. 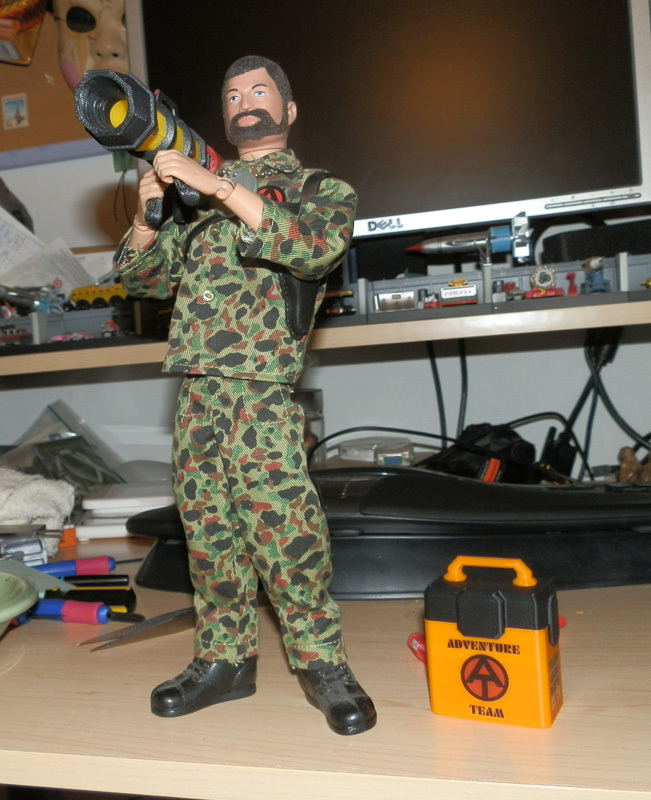 I also added a carry handle which is in fact the same handle the ammo box uses, slightly altered to fit the bazooka. 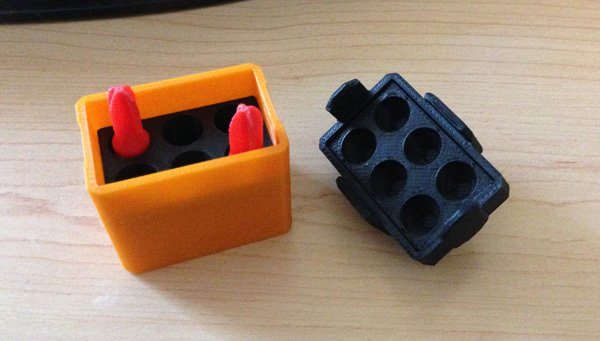 If this print works well, I will be making additions including a way for the two pistol grips to rotate. 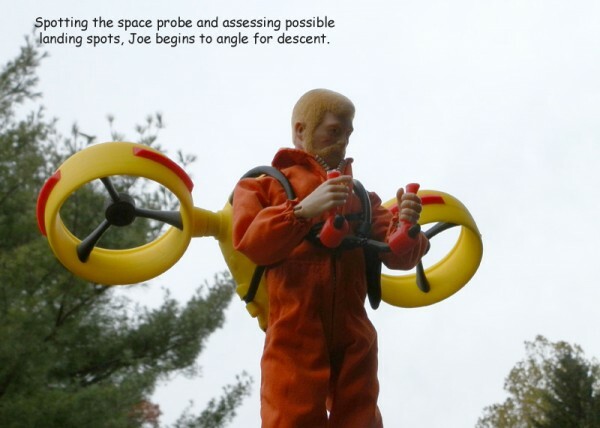 I found that if the two grips were vertically aligned as you see in the 3D model, it’s harder for Joe to hold. 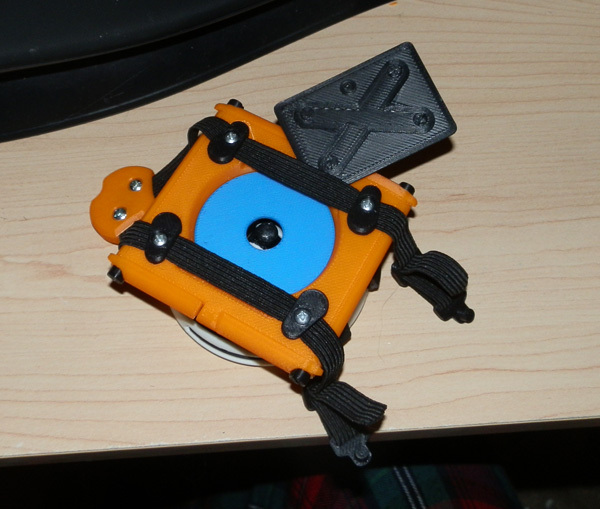 So I wanted to angle the forward one outward for a more comfortable hold. I also don’t want grips that are permanently angled, since I hope to also include a storage crate. My original concept sketch doesn’t show it, but I always intended for the grips to rotate. The photo of Joe holding the bazooka shows this. However, I want to limit the range of rotation. I don’t want you to be able to rotate the handle all the way around. So I am going to try to put in a peg/slot system into the barrel and the handle ring so that it can rotate outward to a maximum on either side, and then back to center for storage. This may not be necessary and will complicate the model a bit, but I think if I decide it’s necessary it won’t be too hard to do. Here you see the bazooka, completed, with decals. These are water-slide decals printed on my laser printer, cut and slid into place. I’m not sure the ones on white “paper” are sticking well, but the clear ones seem to be. On the left is an explosive warning, then there’s an AT logo, a “Contents Under Pressure” with a red arrow. Then the gas cylinder has a pressure warning triangle, with “Compressed CO2 Gas” in text. The darts themselves say “Caution Etorphine”, which is an animal tranquilizer for large animals. 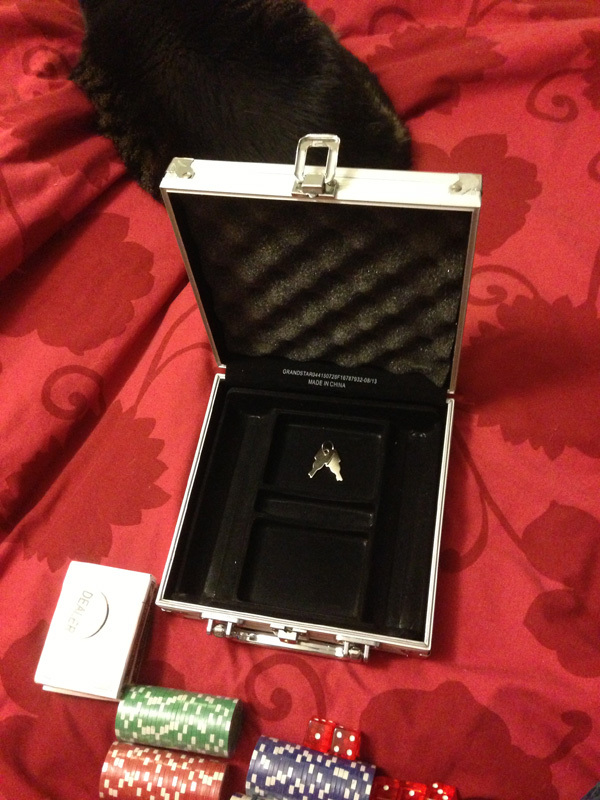 The box, you can see, has the AT log with Adventure Team, and “Tranq Ammo Darts – 6 -“. 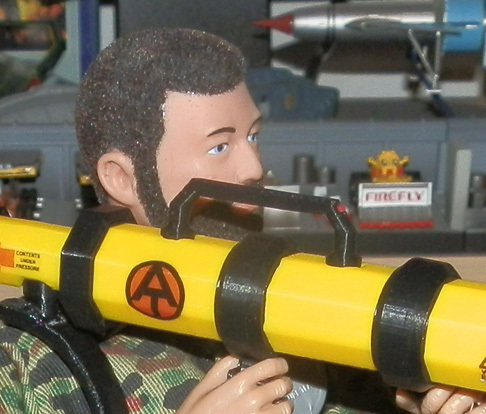 Note the new detail I added – a very small but noticeable laser sight. The small red dot is 1mm in diameter, and it printed fairly well. The hole in the handle printed nicely too. I was a bit surprised, considering the scale. Here is a new concept for the Sealant Gun. Instead of using what, in my original concept above, a caulking gun, I figured this should be higher-tech. I had purchased these small glass vials for Steampunk gun (full sized) customizations. I bought a lot of them. I think it was a 100 count from China. 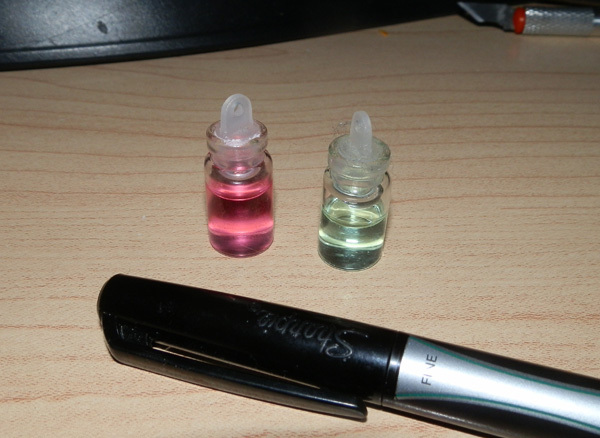 Here you can see them filled with two types of mouthwash for color. 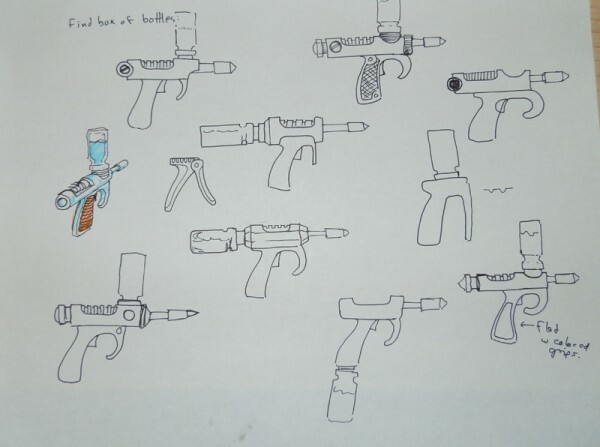 So I figured how perfect would it be to use these for the sealant gun and make them a much more high-tech device that would resemble a lot of the injector guns you see in science fiction TV and film. I modeled one up fairly quickly and test-printed it in silver. I found this to be just a tad too large. 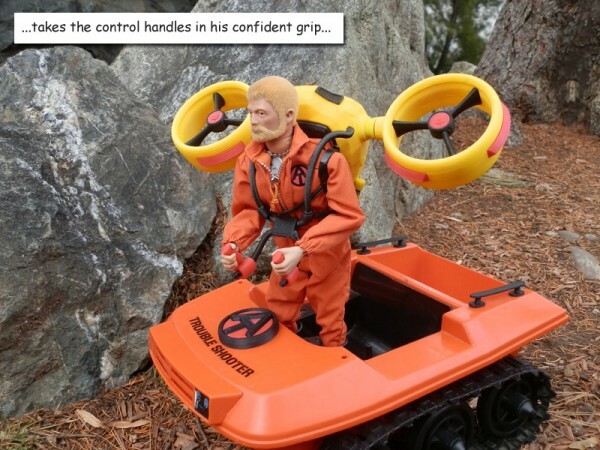 It reminded me of some 1990s 12″ Real American Hero Joe pistols, or modern Action Man guns which tended to be oversized. And posed in Joe’s hand it is now actually quite right. Now that most of the set is together the remaining piece to design and build was the solar-powered prosthetic rhino horn. I modeled the base in blue, so it can pass as a solar power cell, keeping the electronics going. The middle section is white with eight lenses for a panoramic web-cam that constantly uploads to a satellite through the top section, a GPS locator/satellite uplink just like in any smart phone. Some of the GI Joe collectors I know expressed great interest in these sets, so I made available four sets of the bazooka; six darts; an ammo box; and a sealant gun. I sold four in very short order. Perhaps later I will make more available. 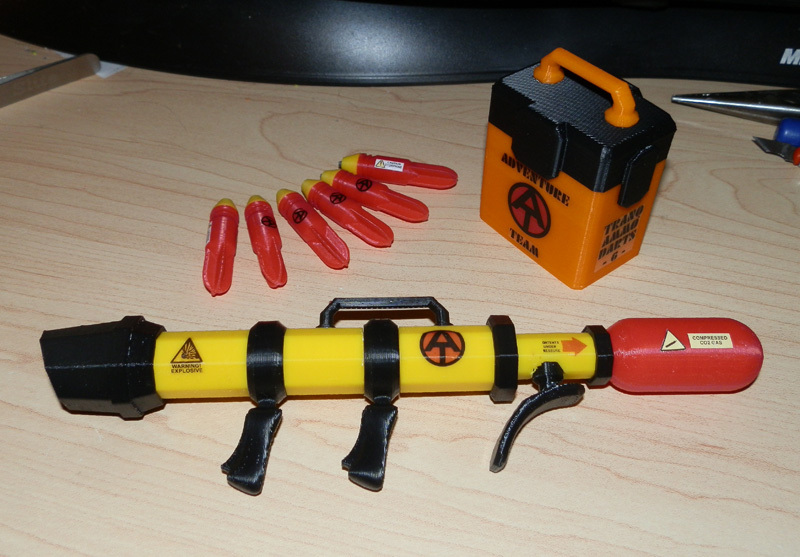 Also, I thought it would be nice to have a case to hold the sealant gun with sealant bottles. I could probably model a briefcase or something, but I have this wonderful aluminum briefcase which is meant for business cards but is a perfect 1:6 Samsonite-like aluminum briefcase for Joe. 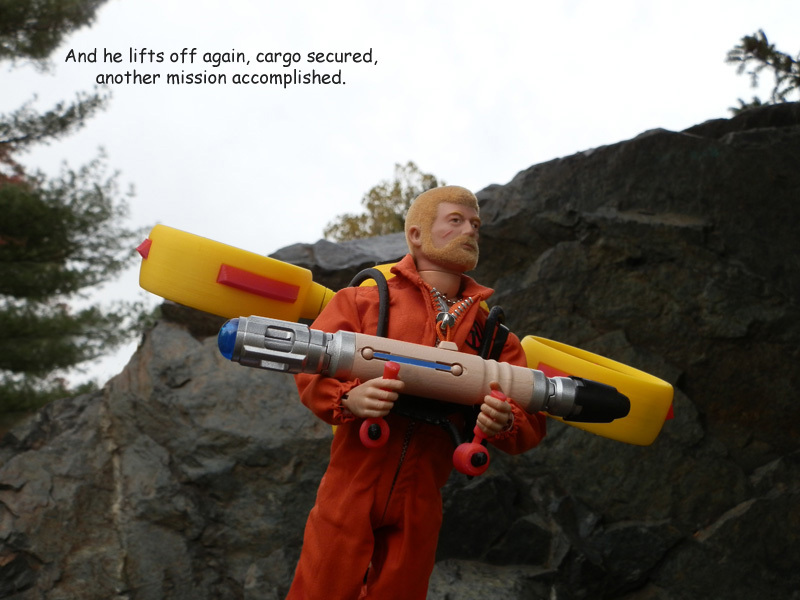 The sealant gun and vials would fit nicely. But I only had one case. 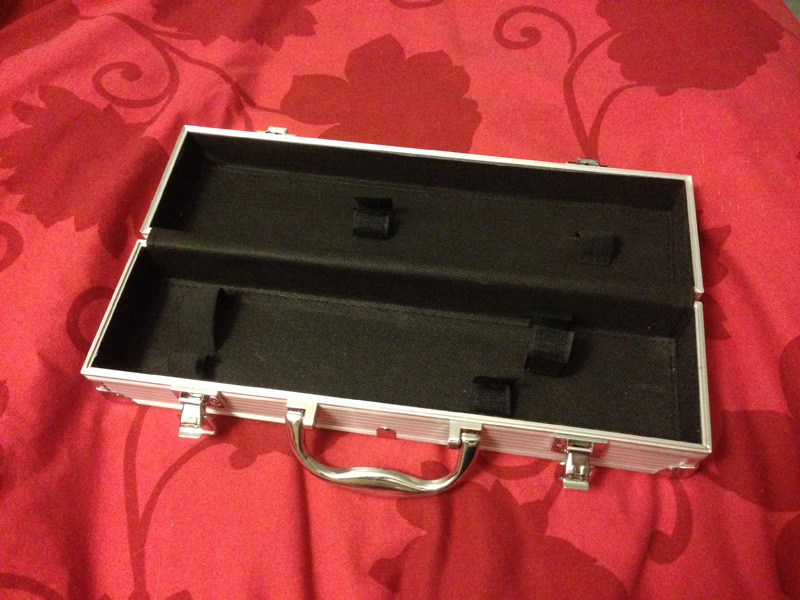 I made contact with a vendor in China and may be buying a few of them in black, so I can make the sealant gun case. 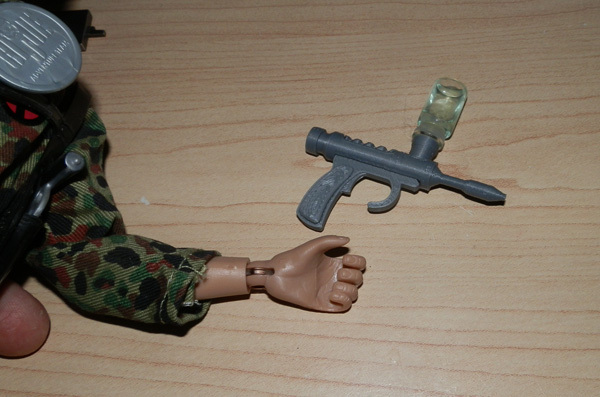 I would use it outright, but would 3D print an insert to hold the gun and vials. 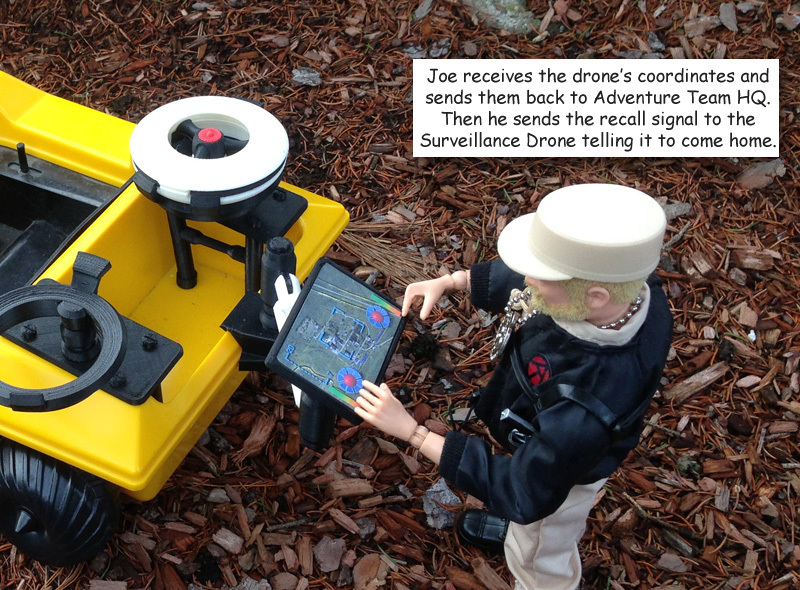 Since my second 3D-printed Adventure Team set, the AT Remote Drone Surveillance,was completed a couple of weeks ago (see the post here and the photo story) I decided that some Joes would want to carry along a Surveillance Drone without having to have the ATV or Trouble Shooter handy. Having these mounted on an ATV is fun, and allows me to add an armature carrying a control tablet so Joe can stand next to the ATV and control the whole operation. 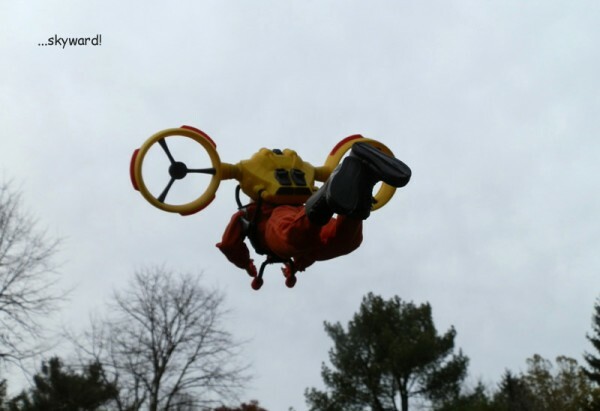 Two drones are nice, but sometimes you only need one. And the best way to carry it would be on a backpack. These drones are lightweight but large and cumbersome to carry. 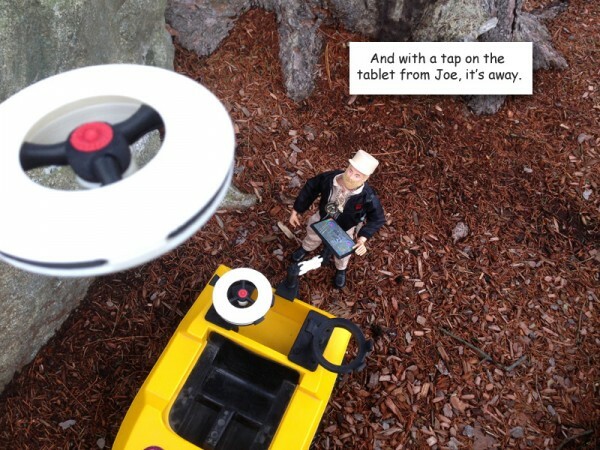 First, it allows Joe to carry a single drone and control tablet wherever he needs to go on foot. Second, it removes and acts as a launch pad, with legs to set it on the ground. Third, it is a solar charging station. 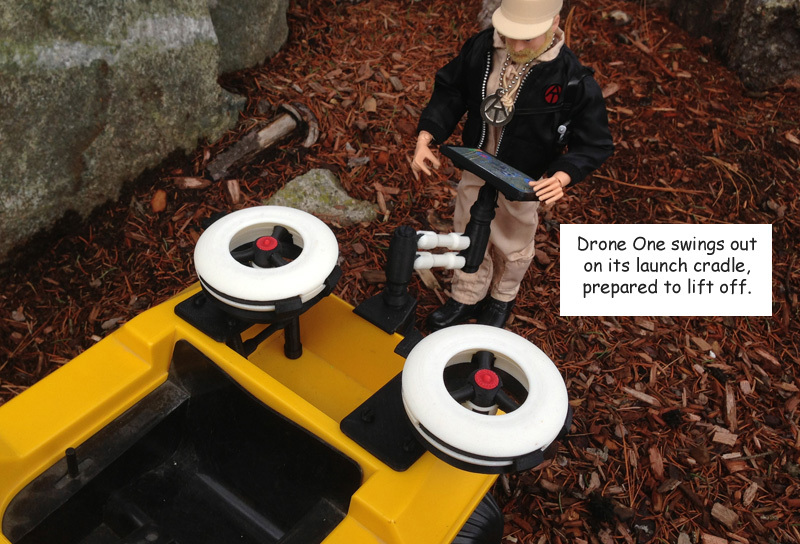 The solar cell absorbs the sun’s energy and powers internal batteries that charge the drone when it is attached. It stores the control tablet for convenient carrying. I designed this to be very much like an original Action Pack GI Joe set. 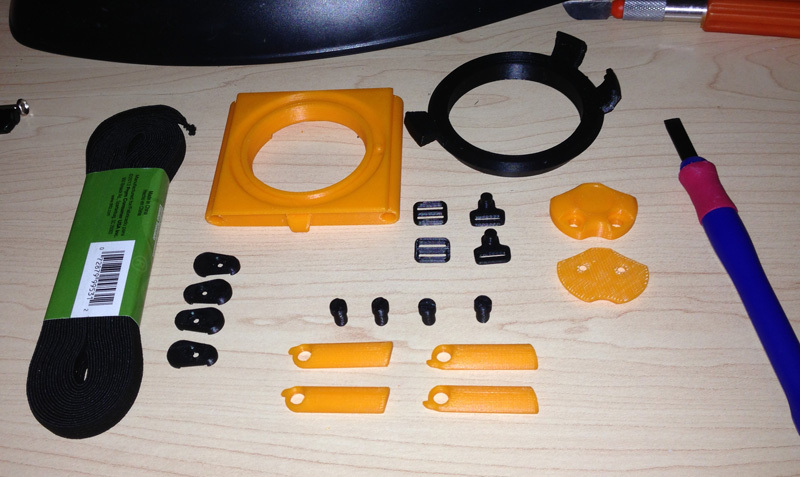 I printed it in orange and black (mainly) which are traditional Adventure Team colors, and the solar cell is in blue because most solar cells do tend to be blue. I used 1cm braided elastic for the harness straps, and printed the harness chest piece, the strap clasps and strap adjusters. Here are the main parts, printed. 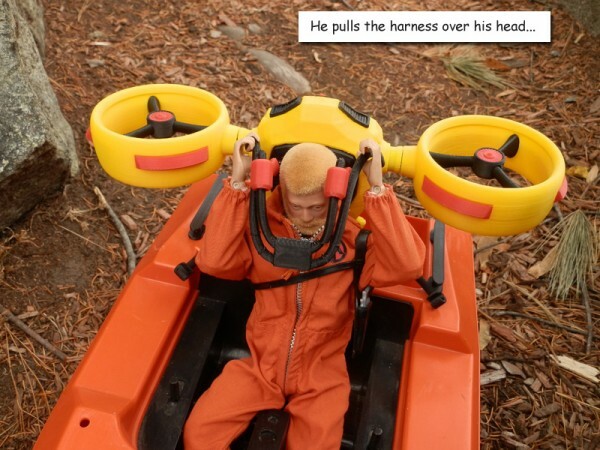 Seen in this picture is the main backpack frame, the drone carrying and charging cradle, four strap connectors for the frame, four legs, four leg bolts, two strap adjusters, two harness clasps, and the front and back half of the harness connector. Here we have the solar charging cell, the control tablet (seen from the back – the front will have a paper insert) the charging cradle, and the backpack, partially assembled. 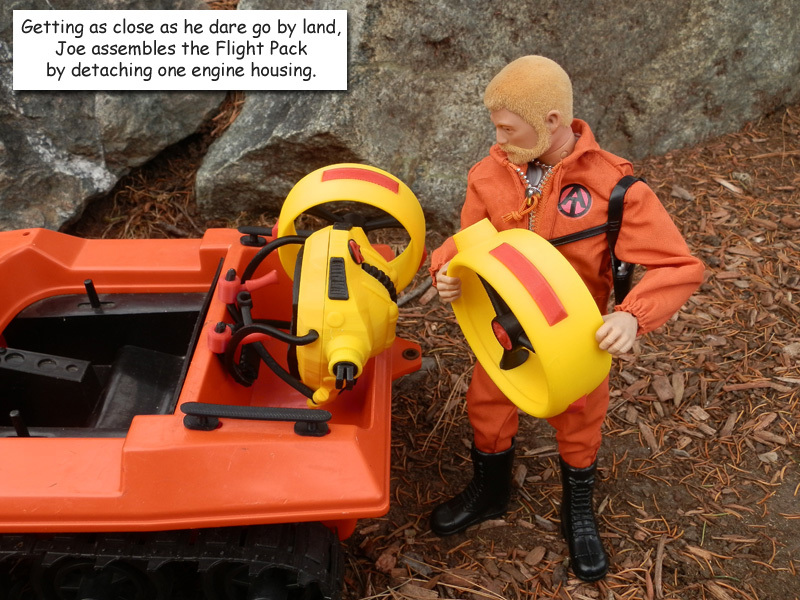 One main thing I wanted, especially after experimenting with a hard printed harness for my GI Joe Adventure Team Action Pack Flight Pack, was an elastic strap, like some older GI Joe sets. I found that 1cm elastic worked well, and I could melt the cut ends to prevent fraying. My main concern was that I didn’t have to sew anything, so I designed the strap to not have to be sewn at any point. What I did was, I thought, pretty darned clever. The strap is one continuous length of elastic, melted at both ends. 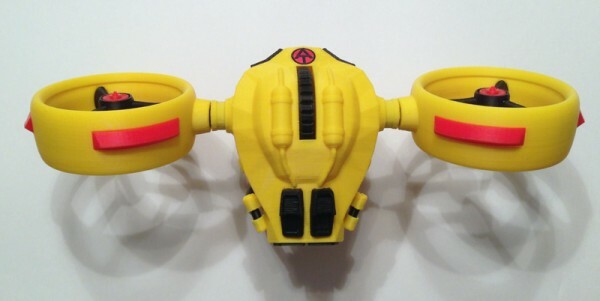 The strap’s middle is sandwiched between the two halves of the chest harness connector with two screws that serve the dual purpose of joining the halves, and anchoring the elastic straps. Next, the straps go into two black plastic strap clamps on the backpack’s top half. Again, screws hold the parts in place as well as anchor the elastic strap to the backpack. Then the elastic straps are stretched a bit and clamped again at the bottom half of the backpack with two more clamps, screwed into place. 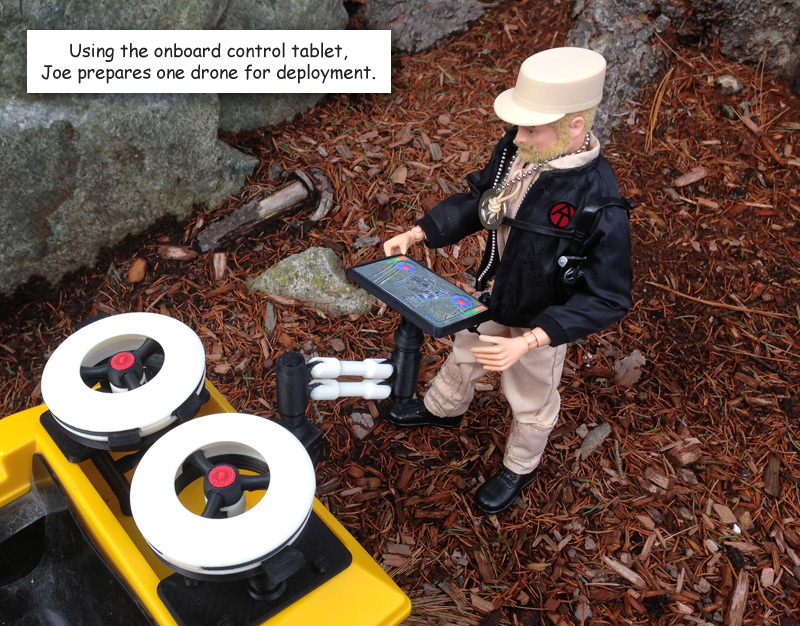 The clever part here is that now the two straps are used to hold the control tablet in place, which has a seat slotted into the back of the backpack. Then the straps go through strap adjusters and into the harness clasps. There is enough remnant strap to do a lot of adjustment for body size. Then the harness clasps have a cylindrical peg that fits into holes on the harness connector, nice and snugly so the strap won’t come out, but not too tight to make removal difficult. 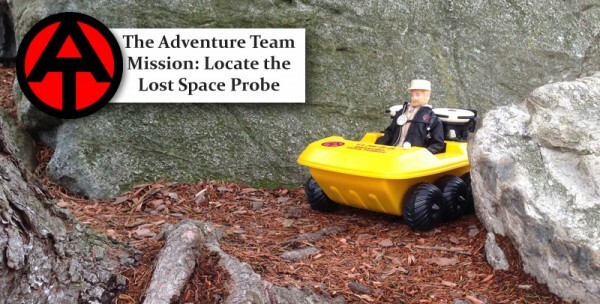 Here’s the Land Adventurer, with backpack on his back. 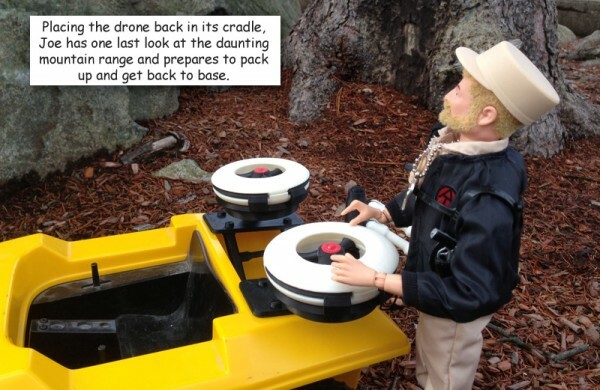 Here he has placed the backpack on the ground, deployed its legs, removed the control tablet and is ready to launch the drone. 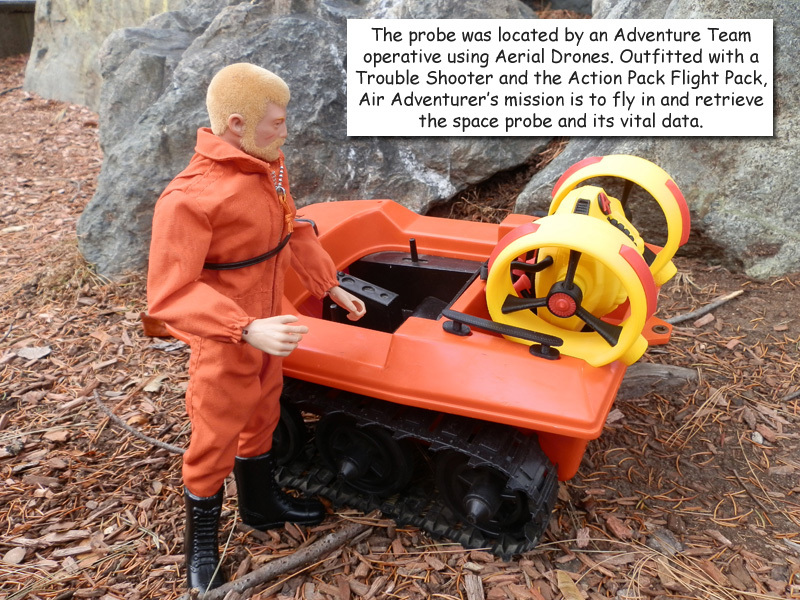 After some minor visual and a few major internal changes, the GI Joe Adventure Team Action Pack Flight Pack is more or less done. 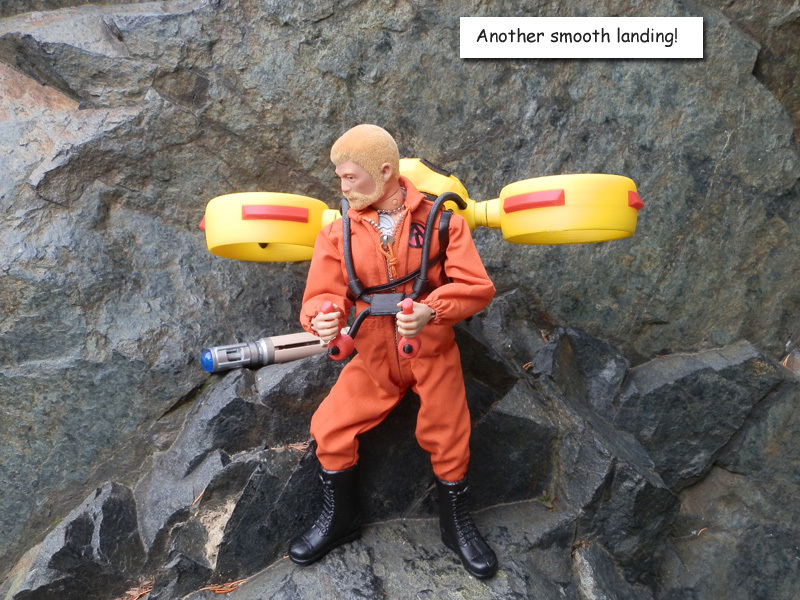 I still want to make some changes, but I’m happy with it for now, and I will be concentrating on a third GI Joe Adventure Team set for a while. Flight Pack designed by me and printed on my Afinia H479 3D printer. On a display case for Christmas, Target had a number of “Holiday Gifts for Men” this season. 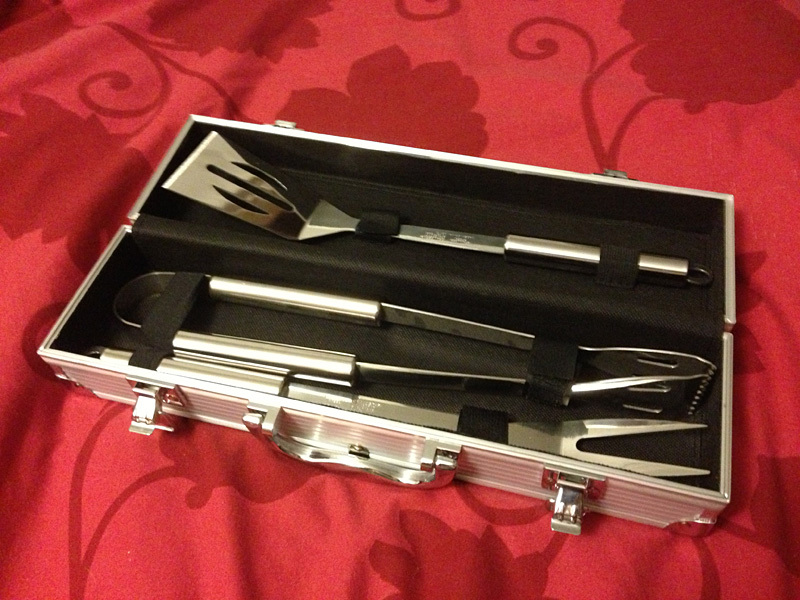 One item was a very nice stainless steel Barbeque set for $19.99 held in a very nice aluminum hardshell case. After Christmas, these items began to be discounted rather heavily. I bought two for $11.88. A week later I found three more for $9.98. I may go looking again next week, but by now unsold items are, in some stores, put in sections appropriate for the item. The Barbeque set may be in with the other BBQ sets if that special section is no longer intact. That’s right. 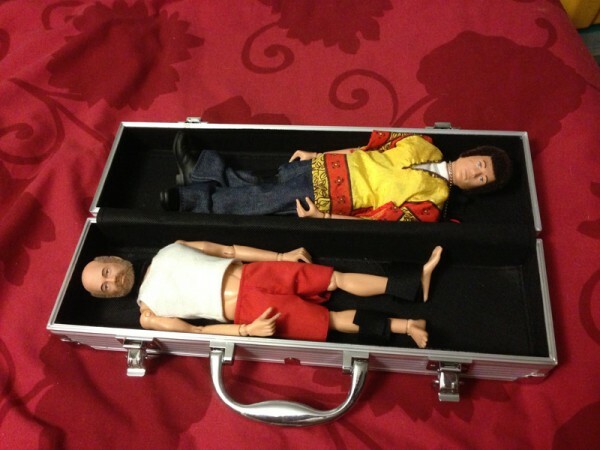 It makes a perfect hardshell Coffin Box for carrying two Joes. Even the velcro straps help hold the Joes in place. If you put them head-to-toe, two figures fit in. There isn’t much room for anything else, though. But if you’re carrying some figures around for a show, or a photo shoot, this is the ideal way to carry them. 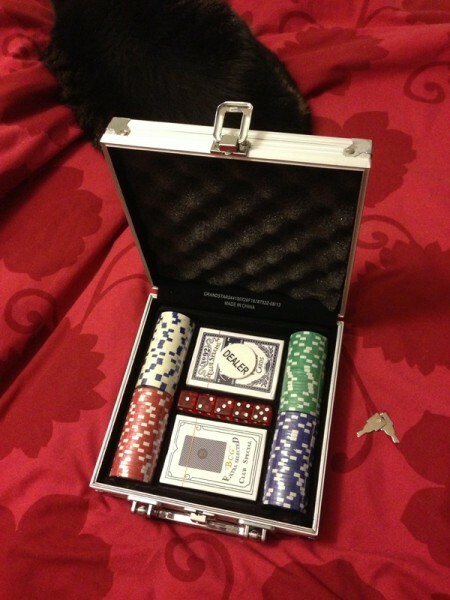 By the way, they also had a small Poker Chip set in a similar but differently-proportioned hardshell case. I got it for about the same price. And with the contents removed, there is a thin flocked plastic tray at bottom and a very nice coned sponge layer on the top lid. I imagine the bottom tray could be removed in favor of some black sponge, cut to fit some components or parts you’d want to carry to a Joe convention or a show or a meet-up. And as an added bonus, this one comes with two keys and a lockable clasp. 3DAGOGO.com is a site for people like me to sell (or give away) our 3D designs. 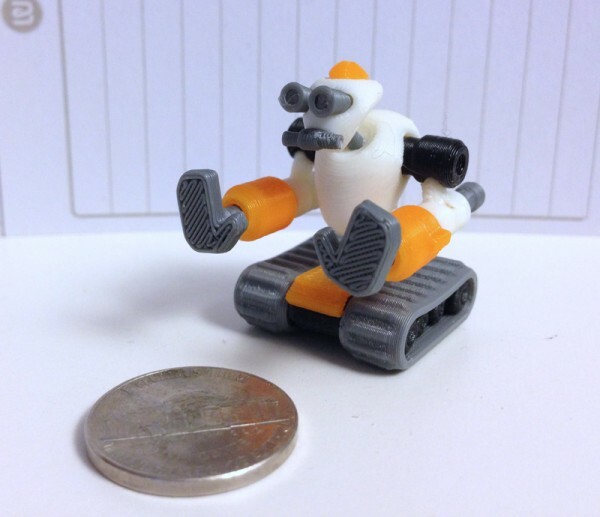 There are other repositories, such as Thingiverse, which have no payment system – it’s all free. Which is nice. 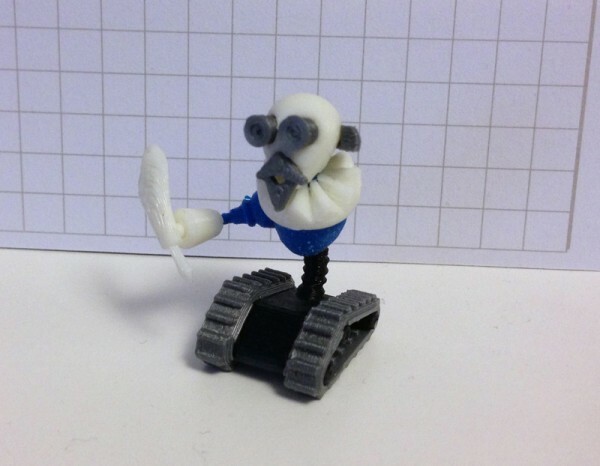 But 3DAGOGO offers designs that are guaranteed to print. 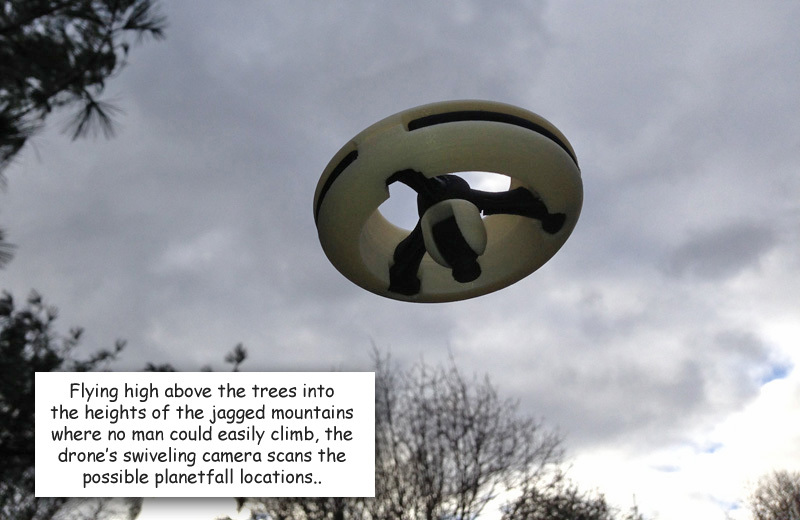 The designs must include a photo of the printed object. For the past few months they have had themed design contests. Yesterday I got an e-mail from 3DAGOGO. I won all three contests. For November I win a t-shirt and a reel of filament. 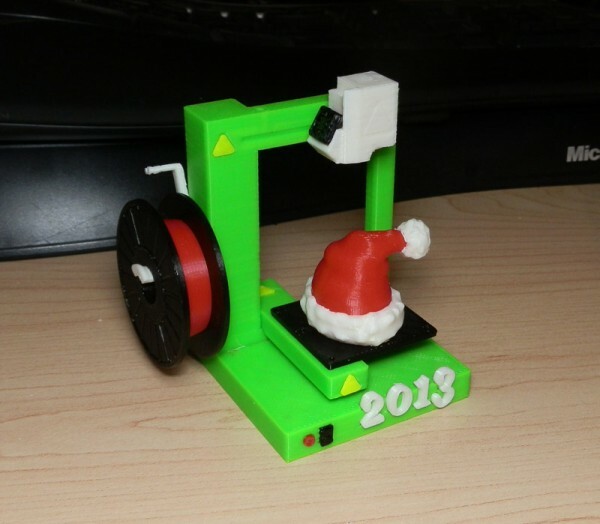 For December I win a t-shirt and a reel of filament. 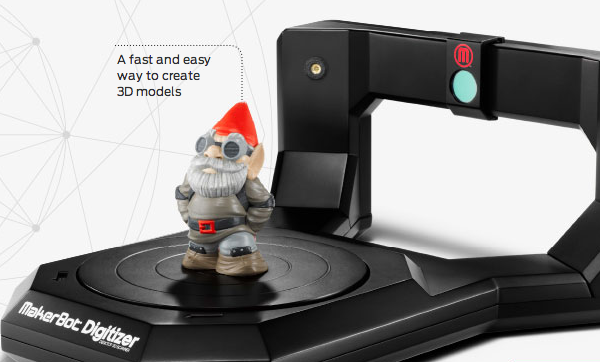 For the Grand Prize I win a t-shirt and a Makerbot Digitizer 3D Scanner!!! Am I psyched or what?